Alam Khan Lodi, son of Sultan Bahlol Lodi, was holding at the latter's death in 1489 AD, the governorship of the pargana of Rapri (Mainpuri district, U.P) and Chandwar (near Firuzabad town, Agra district, on the Jamuna bank). The Bahluli nobles arraying themselves as supporters of prince Barbak Shah (son of Bahlul), governor of the Punjab and Delhi and prince Azam Humayun Khan (grandson of Bahlul), Nizam Khan seated himself on the throne of Agra and Delhi, through the support of Umar Khan Sarwani, the Wazir. Prince Alam Khan being a partisan of prince Azam Humayun Khan, governor of Kalpi Sarkar (Jalaun district, U.P) was ejected by Nizam Khan (who had taken the title of Sikander Shah) soon after, from Rapri and Chandwar. He fled to his kinsman , Isa Khan Lodi, governor of Patiali (Etah district, U.P). Alam Khan, later on, submitted to Sikander, his powerful brother, who pardoned him and conferred on him the governorship of Etawa district instead. Alam Khan's son, Tatar Khan Lodi, was allowed to retain the governorship of Buksor, in the present Unnao district of Awadh. We do not hear any more of Alam Khan in the chronology of the sultanate of Delhi and Agra during the last of the reign of the Sultan Sikander Lodior that of his son and successor Sultan Ibrahim, till we find him suddenly in the kingdom of Gujarat during the reign of Qutbuddin Muzaffar Shah (1511-1524 AD). It cant be definitely said whether he went there during the reign of Sultan Sikander . On the other hand if he had remain submissive to his brother , its is rather strange that he is not mentioned at all. He is not mentioned to have been implicated in the plot attempted by 22 nobles of his Kingdom in 1501 , to dethrone him and place in his stead prince Fateh Khan, his younger brother. The plot having been divulged to the Sultan, he deported or executed all of the participators. 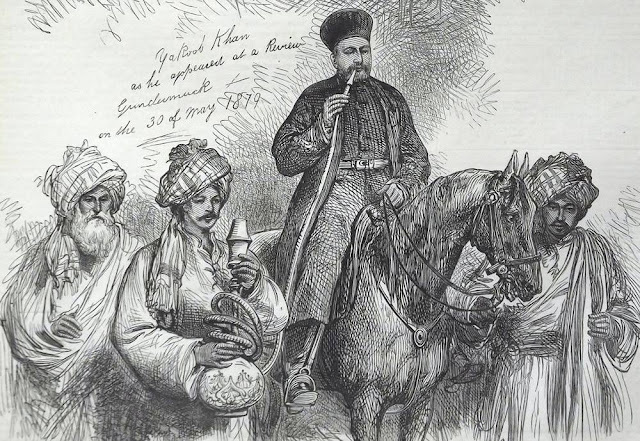 The deported nobles like Said Khan, Babo Khan, Rai Ganesh, took refuge in the Gwalior where from they were expelled by Raja Mansingh at the protest of the Sultan. Many of the conspirators including Tatar Khan Lodi of the Punjab seems to have made their way to the kingdom of Gujarat. But it cant be said whether Alam Khanwas one of them. Alam Khan according to the testimony of recorded history, came to the kingdom of Gujarat during the reign of Ibrahim Lodi, and in 1523-24 AD, he stated, one day to Muzaffar Shah, that he had been staying with his majesty for a good time and asked for his permission to depart and contest his paternal throne, in response to an invitation sent to him by the nobles of the Punjab who had been tired of the right-handed and oppressive poking of Sultan Ibrahim. Alam Khan got the permission to his fortune. The Sultan gave him, in addition, suitable amount for outfit and preparations. It is not unlikely that Alam Khan was a member of the confederacy of the nobles of eastern districts, who under Islam Khan, son of Azam Humayun Khan Sarwani, rebelled against Sultan Ibrahim Lodi during the early part of his reign. The league included Said Khan, governor of Lucknow Sarkar, Bahar Khan Nuhani of the Sarkar of Bihar and Nasir Khan Nuhani, governor of Ghazipur. The rebels were however defeated by Ibrahim after hard and contested battles fought in Awadh. Daulat Khan Lodi, governor pf Punjab, revolted some time later and had the support of his many sons who held districts in that province , and also officers and zamindars of the localities. Daulat Khan in order to strengthen his cause, invited Alam Khan from Gujarat because the latter had a better claim to the sovereignty of the country. Alam Khan thus came away in the Punjab though his sons Bhikan Khan and Jalal Khan remained attached to Sultan Ibrahim, the latter up to the battle of Delhi, in 1525. the fourth indian expedition of Babur (1525), resulting in the conquest of Punajb, was undertaken at the request of the party of Afghan nobles, headed by Alam Khan Lodi and Ghazi Khan Lodi, sons of Daulat Khan Lodi, who went to Kabul with presents which included Indian Mangoes and 'Pan' (Betel-leaf). After the conquest of Punjab, Alam Khan was given by Babur the Jagir of Dipalpur (Montgomery district, Punjab, Pakistan) and Ghazi Khan was given Sultanpur instead of Lahore which he coveted. Alam Khan could not retain his jagir for long time, he was driven away by Daulat Khan. Alam sought Babur's intervention against Daulat Khan who had meanwhile driven away the Baburi officers from Punjab. While at Kabul, Alam Khan appears to have entered into a pact with Babur to the effect that Babur would help Alam to regain his paternal throne, and that Babur would remain in the occupation of Punjab. After Babur's departure to Kabul, Alam approached his (Babur's) officers in the Punjab for the promised help but they refused to do so unless Ghazi Khan Lodi whom they distrusted had given hostages as pledge for good conduct. Upon this, Alam Khan entered into a treaty with Daulat Khan , agreeing to transfer to Daulat the Punjab and retaining for himself , the rest of Lodi empire. It was perhaps on this occasion that he publicly assumed the title of Sultan Alauddin Alam Shah, a name by which he is most often distinguished from his name-sakes. Alauddin's troops swelled to 40 thousands. He marched straight upon the city of Delhi , being reinforced by Ismail Khan Jilawani and Jalal Khan Jighat and nearly overwhelmed Sultan Ibrahim's army in an organized night-attack. The situation was retrieved by Sultan Ibrahim Lodi, who stood calmly at the center though the flanks had collapsed and delivered an attack on Alam's troops engaged in collecting booty , as soon as the day dawned , Jalal Khan son of Sultan Alam fled towards the Doab and Alam Khan took the same way till he reached the fort of gingata in the Dooris. He later surrendered himself to Mir Khalifa , Babur's Wakil-us-sultana. He walked into Babur's court naked and greatly distressed. Babur condoned his treachery and didnt speak speak a word of reproach. On the other hand every body in the court stood up when Alam Khan was brought in. 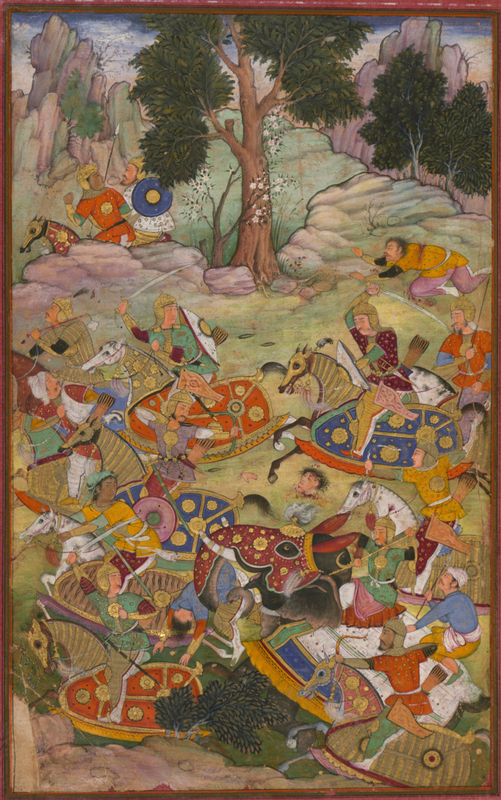 Alam Khan is next noticed as commanding the left center of Babur's army at the battle of Khanwa in which his son Jalal Khan was also present. Earlier he held the nominated command of a section of Babur's army at Panipat. Alam Khan is described in Babur's memoirs as a "prince who has near access to the Royal majesty". He seems to have left Babur soon after , for , we learn from Babur. about the capture by the Mughals, of one of Alam Khan Lodi in the battle of Dalman on the bank of Gumti. Badauni identifies him with Alam Khan Lodi. He was sent as a prisoner to Qila-i-Zafar in Badkhshan where from he escaped and reached Gujarat via Baluchistan and Sindh, during the reign of Bahadur Shah. He became, along with his sons, one of the principle instruments in stiffening the attitude of Sultan Bahadur towards Humayun. Humayun in his third letter to Sultan Bahadur complains of unfriendly act of the Gujarat in giving asylum to his rebel Kinsman Zaman Mirza and Alam Khan bin Bahlul Lodi and demanded Zaman's surrender or expulsion from Gujarat. Bahadur rejected Humayun's demand and at the suggestion of Tatar Khan bin Alam Khan , placed 20 lacs of tankas at the disposal of Tatar Khan for equipping an army. Tatar Khan boastingly marched towards Bayana with a view to capture Agra. His mercenary troops deserted him in large numbers. He gave a fight to Mirza hindal with his remnants near Bayana and was defeated and slain. Alam Khan is not mentioned in the troubled days of Bahadur Shah's struggle with Humayun . Evil days befell Gujarat after Bahadur Shah's death in 1537 AD. A contest developed between powerful nobles for the custody of the King's person. When Daria Khan raised Mahmud II on the throne, Alam Khan became attached to the former as the custodian of the palace , and commanded a portion of Daria Khan's army and shared his defeat in the hands of Safdar Khan entitled Alam Khan. Daria Khan saved his life by flight to Sher Shah Sur at Delhi . Alam Khan Lodi and Shujaat Khan were executed by order of Mahmud II after his triumphant entry into Ahmadabad at the instigation of Jargi, the bird-catcher. Their bodies rotted for three days before being buried by Safdar Khan. Thus ended the tragic career of Sultan Alauddin Alam Lodi. If he was 25 years old at the death of his father in 1489 (he must have been older than that , for his son Tatar Khan held the governorship of Buksar at that time) his age a2 years. He was too ambitious to follow a line of action with consistency. Nor can he be exonerated for inviting a foreign prince to invade India and obtain in the conquered land a firm footing. He turned a patriot after realizing the error when he joined Ghazi Khan for expelling the Mughals from Punjab and fought his nephew Ibrahim Lodi at the same time. He failed because fighting enemies at two fronts is a difficult game and that too by a rebel leader. During his second stay in Gujarat, he being in dotage, plays an almost insignificant part. A scheming rebel without great qualities of a soldier doesnt deserve a better fate.